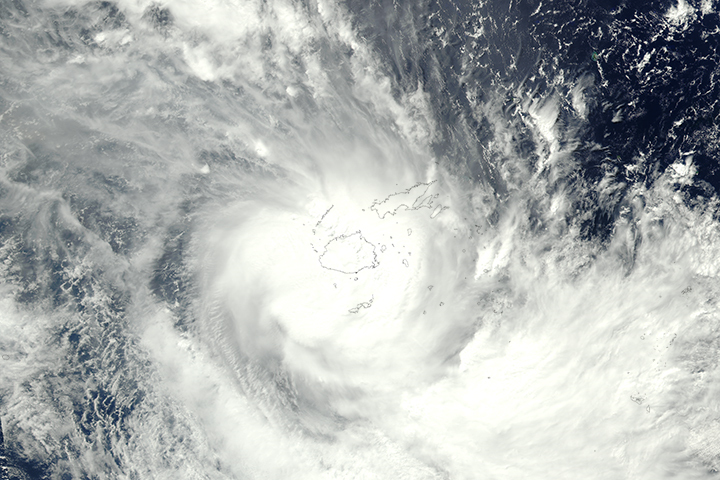 For nearly a week, Tropical Cyclone Gita has been battering and threatening small South Pacific islands. And the storm is not done. 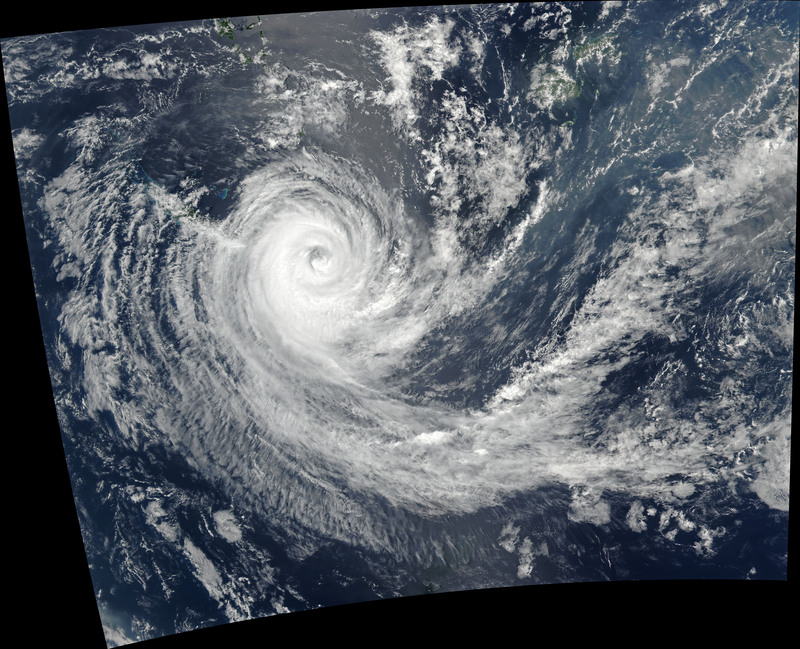 Gita developed into a tropical storm on February 9, 2018, and immediately pounded American Samoa. 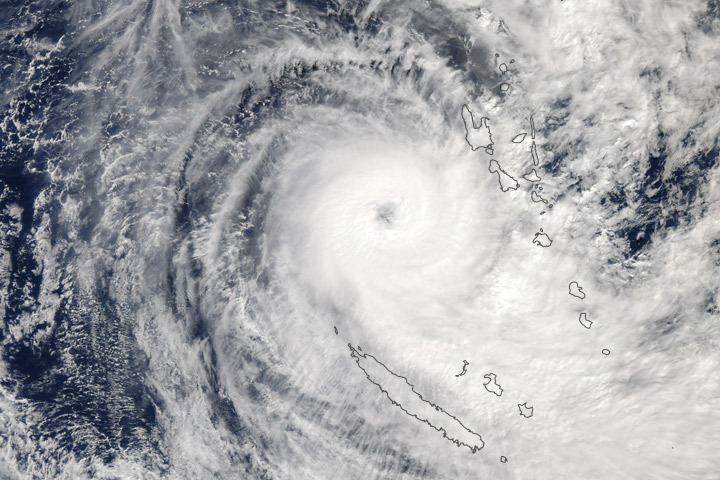 The storm reached tropical cyclone strength on February 10 and then began marching across South Pacific waters that were at their annual peak temperatures. In fact, seas were a full degree Celsius warmer than the long-term average for February, according to Weather Underground. The animated map above shows the path of Cyclone Gita from February 10–16, 2018. The fainter lines in the background show the tracks of all known tropical storms and cyclones that have passed through the area since 1941, according to data compiled by the National Oceanic and Atmospheric Administration. Note that Gita reached major storm status on February 12 and stayed there for four days as it marched west. 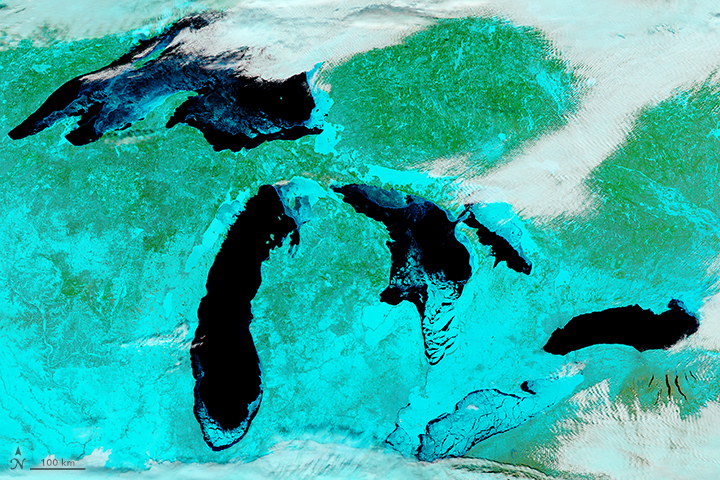 The Visible Infrared Imaging Radiometer Suite (VIIRS) on the Suomi NPP satellite acquired this natural-color image of Gita on February 16, 2018. According a report from the Joint Typhoon Warning Center at 1 a.m. local time on February 16, the storm still had sustained winds of 90 miles (150 kilometers) per hour, with maximum wave heights of 28 feet (8.5 meters). The storm was predicted to move southwest, then southeast toward New Zealand. Though wind strength is waning, the storm will be passing over extremely warm water off of New Zealand, which should provide copious moisture for rain. NASA Earth Observatory images by Joshua Stevens and Jeff Schmaltz, using VIIRS data from LANCE/EOSDIS Rapid Response, and storm track information from NOAA and Unisys. Story by Michael Carlowicz. 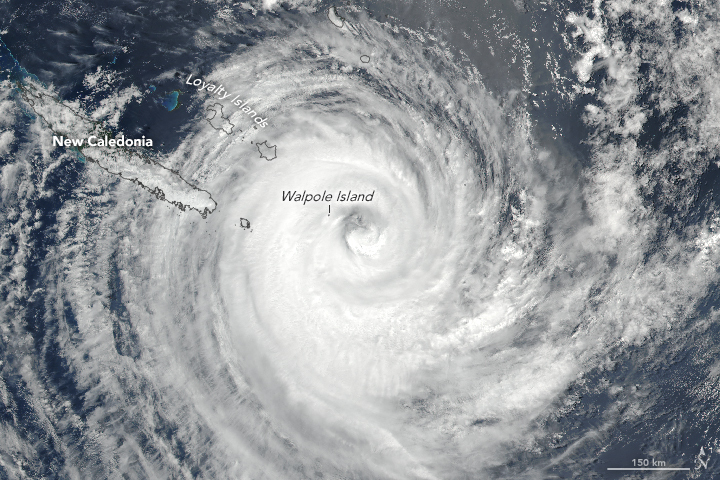 The tropical cyclone was one of the strongest on record to make a direct hit on Tongapatu. 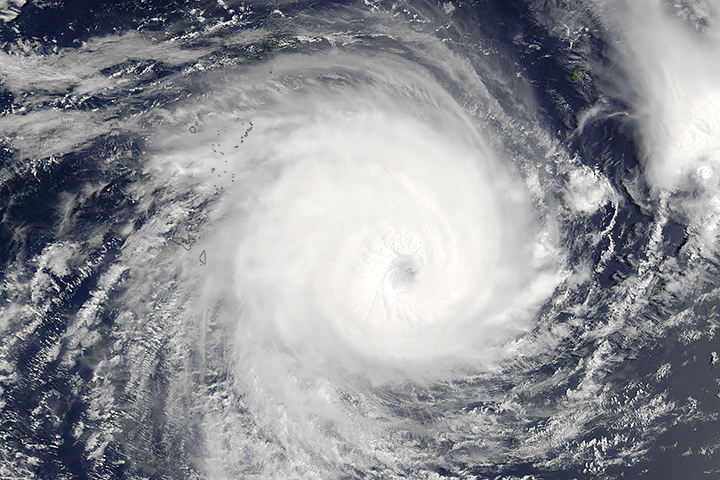 Samoa, Tonga, and other South Pacific islands were battered in February 2018 by the storm. Australian Broadcast Corporation (2018, February 13) Cyclone Gita: Tonga’s Parliament flattened as category four storm lashes country. Accessed February 16, 2018. 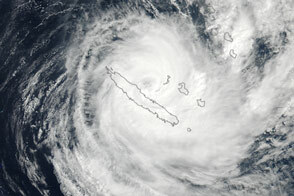 Australian Broadcast Corporation (2018, February 16) Cyclone Gita clean-up efforts begin after category 4 storm batters Tonga. Accessed February 16, 2018. New Zealand Herald (2018, February 16) Everything you need to know about Cyclone Gita including how it might affect NZ. Accessed February 16, 2018. Unisys Weather (2018) Cyclone Gita Track Data. Accessed February 16, 2018. Weather.com (2018, February 13) Tropical Cyclone Gita Hammers Tonga: 30 Injured, Homes Destroyed. Accessed February 16, 2018. Weather Underground (2018, February 13) Damage Heavy on Tonga as Category 4 Tropical Cyclone Gita Hits. Accessed February 16, 2018.